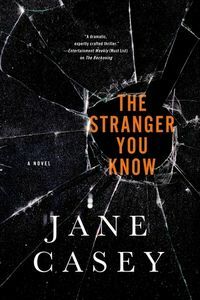 The Stranger You Know by Jane Casey: Synopsis and Online Purchase Options. Synopsis (from the publisher): He meets women. He gains their trust. He kills them. That’s all London police detective Maeve Kerrigan knows about the man she is hunting. Three women have been strangled in their homes, and it appears to be the work of the same sadistic killer. With no sign of break-ins, every indication shows that the women let their attacker in willingly. The victims' neighbors and friends don't seem to remember anything unusual or suspicious, and Maeve is almost at a loss about how to move forward with the investigation.